In episode 102 Dan and Todd talk about what inbound is, the assessment that can help you put a number on how inbound your business is, and what to keep out of your mission statement. [0:52] The Question: What is the first step to becoming an inbound organization? Dan and Todd hear this question from entrepreneurs, business leads, and senior managers all the time. Everyone wants a quick jumping off point into the tactics of inbound, but the problem is that no two businesses are the same, so no two businesses begin their inbound journey in the same place. To help address this question, and give everyone some metrics to measure, they developed the Inbound Organization Assessment. The assessment gives companies a way to compare themselves against a standard, gives them an objective measurement they can track, and guides leaders as they progress towards becoming an inbound organization. As they wrote the book, Dan and Todd asked everyone they talked to what inbound was. The only universal answer they got back was that helping others first was the core of inbound. Is your biggest goal to move people through a sales funnel, get them off the phone, get their details in your system? If the answer is yes, then it doesn’t matter if you’re employing inbound tactics you’re missing the heart of what it means to be inbound, and your prospects can tell. If you’ve ever been to Florida, you know that all the sun and rain and beautiful weather leads to one thing…bugs! This is the story of how one bug guy earned himself a customer for life and countless referrals because he was helpful. Dan’s mission statement is doing the most good that he can for the universe. Helping people solve their problems is at the heart of what HubSpot does, so working for them makes Dan the luckiest guy in the universe. The riches are in the niches. There’s so much competition out there that specializing in the smallest niche possible is how you’re going to stand out from the pack. HubSpot is known for being data-driven. That’s a strategy that any business can implement to help make better-informed decisions. 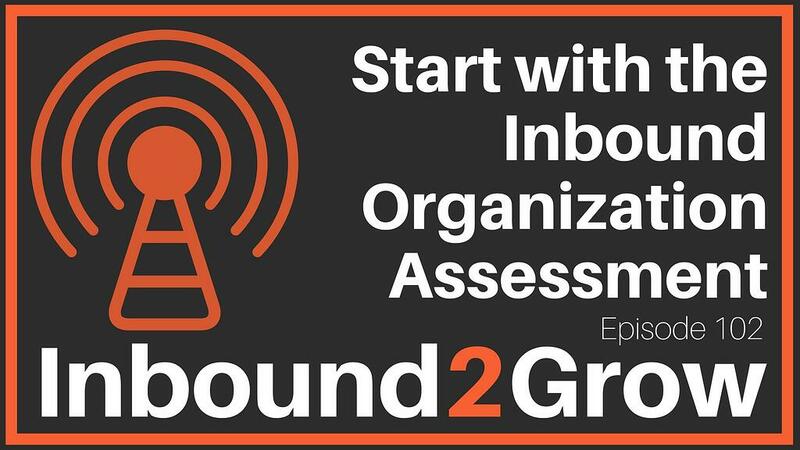 The Inbound Organization Assessment can be a first step to help businesses generate powerful, impactful data about where they are in the inbound organization journey. If your mission statement is full of buzzwords, no one is going to like it. Focus. Innovation. Customer satisfaction. Buzzwords. Weed out meaningless buzzwords to craft a mission statement that actually means something. Inbound is the ways your prospects and customers want you to treat them. It is up to you whether you give it to them or not.